The main objective of a trip with Fishs Eddy O is fly-fishing for trout, while enjoying a day of new experiences, fun and adventure. Trips are catered for all levels of ability, from the raw beginner to the seasoned angler. 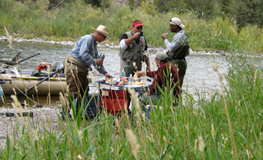 Whether perfecting a basic cast, more advanced casting, reading water, or identifying insect hatches, we want every guest to come away relaxed, happy and a better fly-fisherman. We’re as good at customer service as we are at fishing. Eddie Olwell has been fishing most of his life and began fly-fishing at the age of 13 honing his skills on the storied waters of the Catskill Mountains. 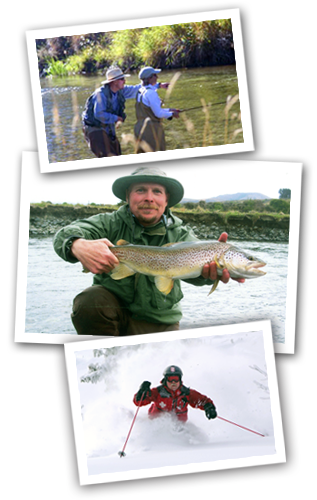 The quest for trout on the fly has taken him across North America, to New Zealand, and the Patagonia region of Chile. Eddie has fished the waters of western Montana since 1977 and began guiding on them in 1999. In that time he has developed the reputation as an accomplished fisherman, patient instructor, and one of the hardest working guides on the river. 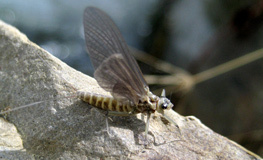 Eddie has also been the featured guide on an episode of the long running television show Fly Fishing the World. Eddie has a great passion for rivers and a strong conviction for preserving these cherished resources. He spends much of his free time volunteering with local conservation groups to preserve natural resources and our hunting and fishing heritage. 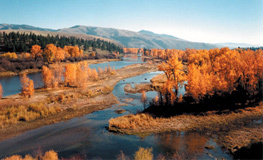 He is an active life member of Trout Unlimited and served two years as president of the Bitterroot chapter, and is the current Board Chair of the Bitterroot Water Forum. His efforts in conservation were recognized by the America Fisheries Society which named him “Outstanding Outfitter of the Year” in 2014. Eddie is a certified Wilderness EMT and spends his winters working as an instructor for the Aerie School for Backcountry Medicine, and on the ski patrol at Lost Trail Powder Mountain. His home is in Stevensville in the heart of Montana’s Bitterroot Valley.